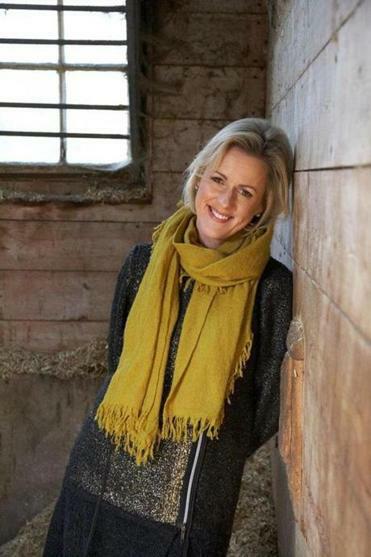 In “One Plus One,’’ veteran novelist Jojo Moyes writes about the struggles of a single mother in an English coastal town. In a dead-end town on the southern coast of England, single mother Jess Thomas juggles a multitude of proverbial platters, holding down a housecleaning job with her mouthy friend, Nathalie, and working in a pub under Des, the world’s most unwaveringly loyal rock ’n’ roll fan. In between the unrelenting work hours, she’s raising her kids, Nicky, a 16-year-old goth who is the target of vicious neighborhood bullies, and Tanzie, a 10-year-old math prodigy — her passions are prime numbers, complex equations, and sparkly clothes — who is joined at the hip-and-haunch to Norman, possibly the most flatulent dog since Sorrow, of John Irving’s “Hotel New Hampshire” fame. Jess holds her family fiercely together with a spirit of outward optimism — she dons flip-flops at the first sign of spring — that belies her own perpetual state of near-panic. She also is facing a major financial challenge: how to pay for Tanzie’s school bills. The solution? Have Tanzie compete in a math contest with a cash prize — the only problem being that it’s in Scotland. Enter Ed Nicholls, software geek and recently-minted millionaire. Ed has just been done-over by an unstable femme fatale and, starting with that low point, things are heading further south: While his family is expecting him for a very important lunch across the country, his ex-wife is plaguing him for more money, his lifelong best friend and business partner, Ronan, won’t talk to him, and Ed is about to be charged with insider trading. Moyes has her own juggling act down pat, equally assured whether she’s conjuring a moment ripe with perfectly-poised comic tension; capturing the adrenalin- and bliss-fused clarity that characterizes the marriage of true minds; or describing the dank, lackluster dullness when things fall unremittingly apart. An agile and resourceful storyteller (with more than 10 novels) Moyes is also pleasurably adept at using sleights of hand to establish, conceal, and reveal telling plot-point elements, bending them entirely to her authorial will. In tightly-sketched paragraphs she pins down a house far too over-scented with potpourri, candles, and air freshener plug-ins — “Everything in that house smelled of something. It was as if nothing were allowed to just smell of itself” — as well as the hollow emptiness that fills a space previously stuffed full of chatter, cheer, and people. Moyes has an unerring sense for the serious as well as for the ridiculous, and “One Plus One” shimmers with both unyielding warmth and canny incisiveness. While it tackles the desperation exposed by the chasm of income inequality and the horrific aspects of bullying, it also catches the more enchanting elements of life’s rich pageant from “the magnificence of total strangers,” to that moment when someone first notices the relaxing effect they’re having on another person and experiences the joyful epiphany of realizing that they are exactly where they belong.